Asus as this month added a new addition to their range of laptops equipped with NVIDIA graphics with the unveiling of the new Asus Zenbook UX310UQ which comes equipped with a NVIDIA GeForce 940MX graphics card. The Zenbook UX310UQ was unveiled earlier this month at Computex and is capable of being equipped with an Intel Core i7-6500U processor that can be supported by up to 16GB of RAM and comes supplied with 1.5TB of storage offering plenty of storage space via a 1TB of HDD and up to 512GB of solid state drive (SSD) storage. Asus have equipped the new Zenbook UX310UQ with a 13.3 inch display that provides users with a resolution of either 1920 x 1080 pixel or 3200 x 1800 pixels depending on your requirements and budget. The screen also offers wide viewing angles to 178 degrees and comes equipped with a backlit keyboard together with a number of ports including 1 xUSB 3.1 Type-C, 1 x USB 3.0 port, 2 x USB 2.0 ports, 1 x HDMI output and a 3.5mm headset jack. 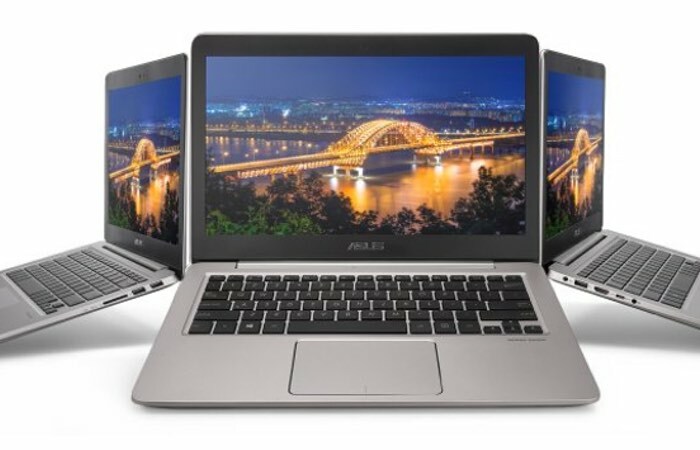 Connectivity is provided by support for both Bluetooth 4.1 and wireless 802.11ac and Asus have equipped it with a 48Whr battery as well as room for an additional 2.5 inch hard drive and an an M.2 SSD.